We manufacture Rigid Bow Centralizer using superior quality raw materials that are procured from the trusted vendors in the market. Clients can avail these at affordable prices in the market. These are available in various specifications and can be customized as per the requirements of the clients. We offer various kinds of centralizers like Hinged Non Welded Positive Bow Centralizer, Hinged Non Weld Semi Rigid Centralizer etc. We are offering a wide and comprehensive range of Sleep On Welded Heavy Duty Positive Spirolizers. The offered range is applicable in different areas such as steel, paper, tool manufacturing and heavy duty engineering for welding purposes. These products offered by us are appreciated among the clients for their user friendly, high tensile strength, abrasion resistant and durable. In addition to this, the offered range is made in strict adherence with the international standards. 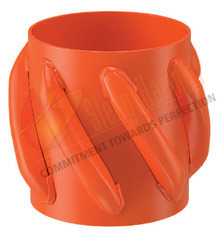 Hinged Non Welded Positive Bow Centralizer is used for reducing fractional drag when used in deviated holes. These are available in various designs and can be customized according to the requirements of the clients. They are available in all sizes ranging from 3 ½” to 20”. We manufacture this product using high quality materials and according to the international quality standards. We are offering a wide and comprehensive range of Slip On Welded Positive Spiralizer. These slip on welded positive spiralizer offered by us are designed using premium grade material, sourced from reliable vendors of the market. In addition to this, the offered range is available in different customized forms as per the diverse requirements of clients. In addition to this, the offered range is admired among the clients for its durability, compact designs and sturdy designs. Our customers can avail a wide and comprehensive range of Straight Slip On Welded Heavy Duty Straight Bow Spirolizers. These products offered by us are manufactured utilizing high grade raw material and advanced machines that are manned by our dexterous personnel. This range of straight slip on welded heavy duty straight bow spirolizer is widely acknowledged among the clients for its optimum performance, reliability, efficiency, durability and excellent service. Owing to the rich experience and dexterous personnel, we are offering a wide and an unparalleled range of Slip On Welded Cement Baskets. These slip on welded cement baskets offered by us are known for retaining and supporting the cement column where weak formation and stage cementing is encountered. Along with this, the offered range is installed on the stop collars and is treated with a special phosphate coating process to avoid the rust. These are further coated with special polyester powder and are offered in all sizes ranging from 4 ½” to 30. 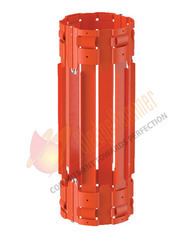 Looking for Rigid Bow Centralizer ?